being little • bristol uk fashion & lifestyle blog. 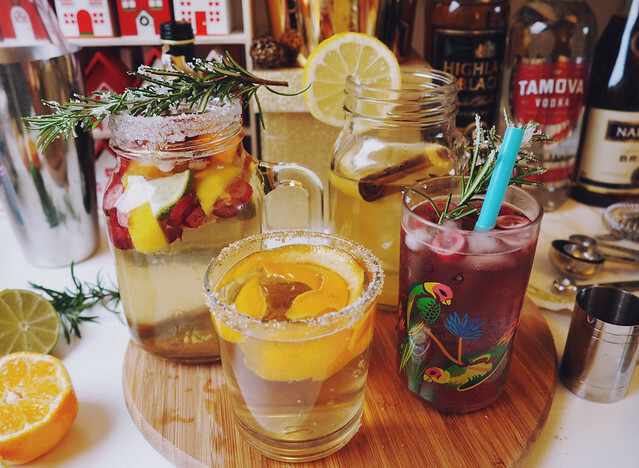 : 4 christmas cocktails! Cocktails are great, aren't they? I love that sometimes they taste like they have no alcohol in at all.. and they can mix unusual flavours into something crazy delicious! 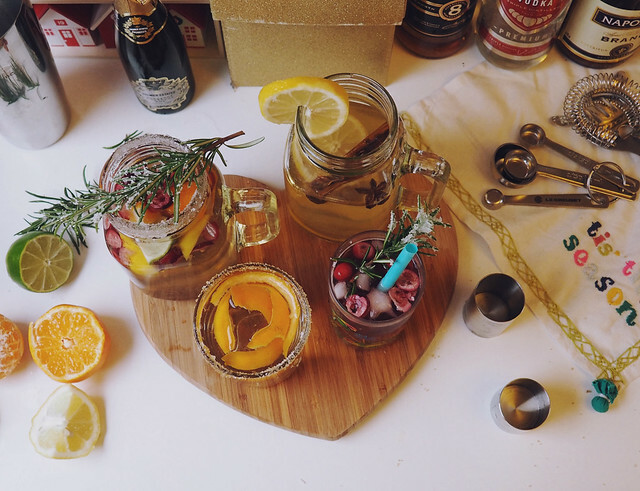 Aldi sent over a whole bunch of spirits and challenged me to make some Christmas cocktails... and here's what I made! 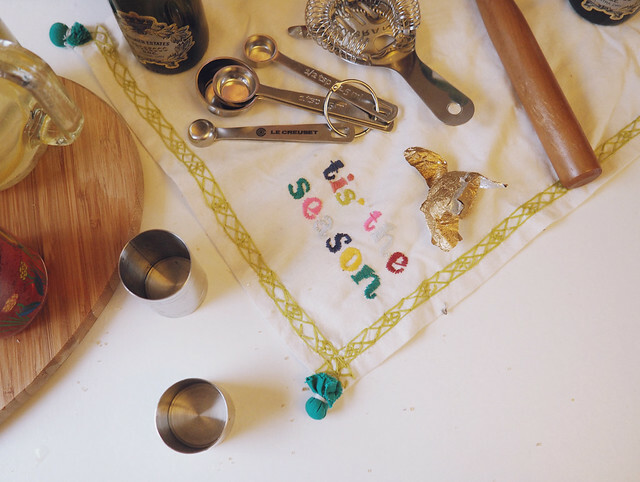 • dampen a sprig of rosemary, and coat in white granulated sugar. • add ice and cranberries to a glass. • in a cocktail shaker, combine 25ml syrup, 25ml cranberry juice, and 40ml Oliver Cromwell dry gin. • pour into the glass & top up with Crabbie's ginger beer. 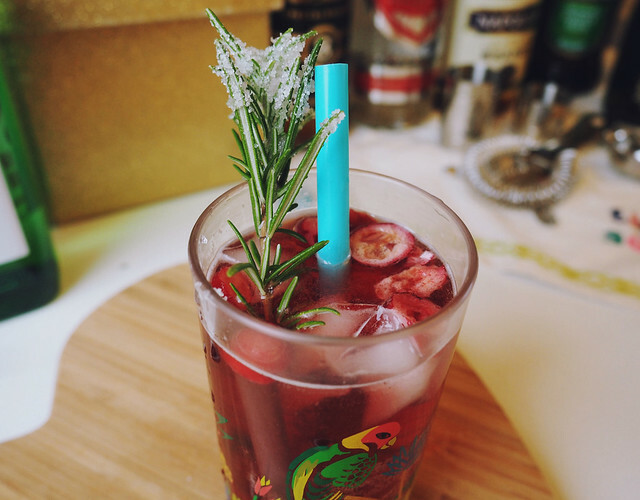 • serve with a straw and the sugared rosemary to garnish. 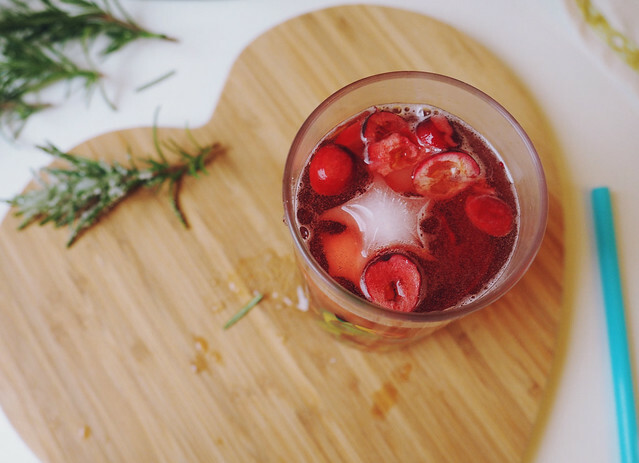 I love this cocktail because ginger beer and gin is one of my most favourite drinks ever, however with the cranberry juice it makes it feel so much more Christmassy and colourful. 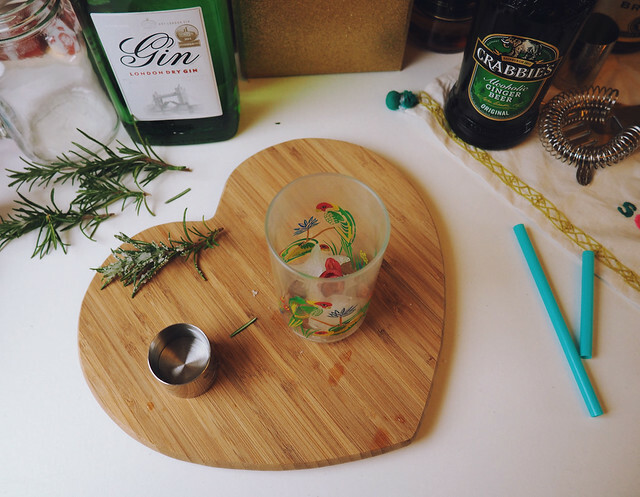 The rosemary also looks a little bit like a bit of Christmas tree with frost on, so it's a lovely garnish! 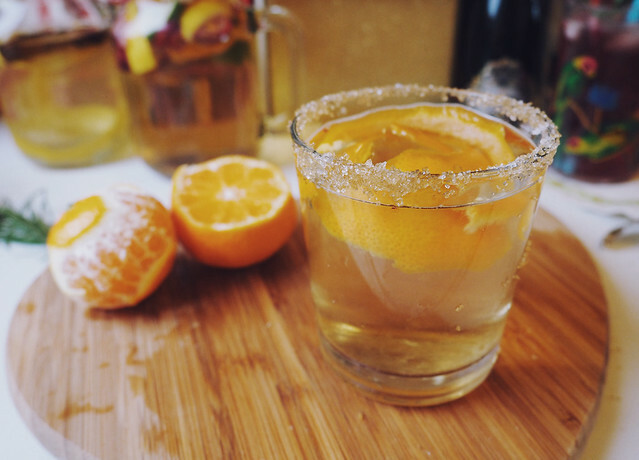 • dampen the rim of a glass & roll in demarara sugar. 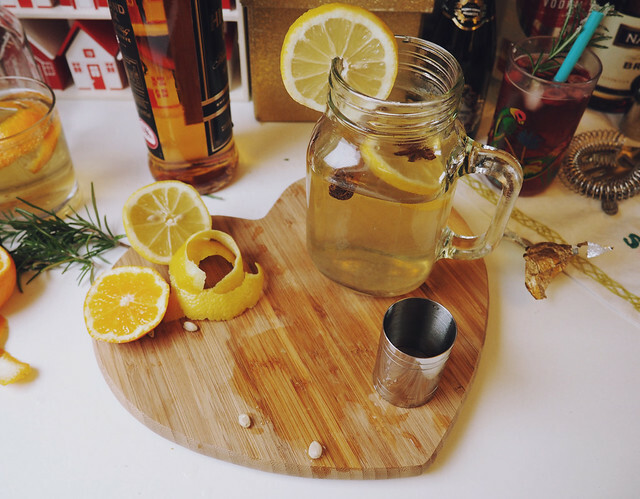 • add a brown sugar cube or teaspoon of sugar to the glass, with a few drops of agnostura bitters. • pour a shot of Napoleon brandy in & top up with champagne or prosecco. 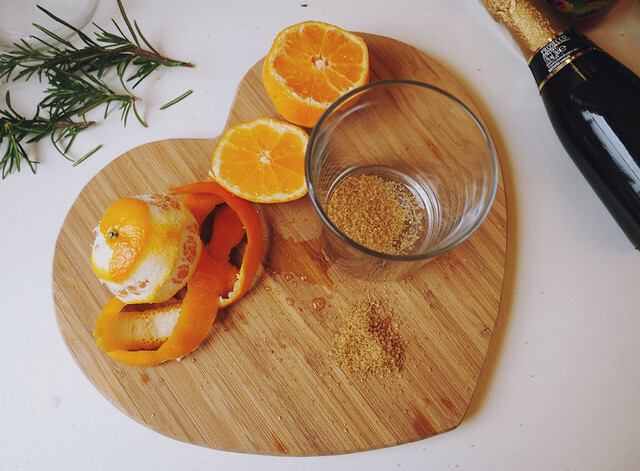 • garnish with orange peel. You can't really beat a champagne cocktail, can you? Well, actually, I prefer Prosecco, but whatever. I love this one because it's particularly sparkly and golden, with the addition of brandy! 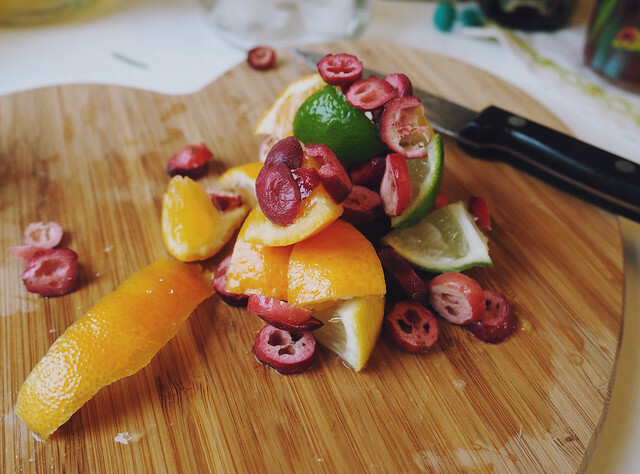 • chop up fruits - you can use apple, citrus fruits, and definitely cranberries. 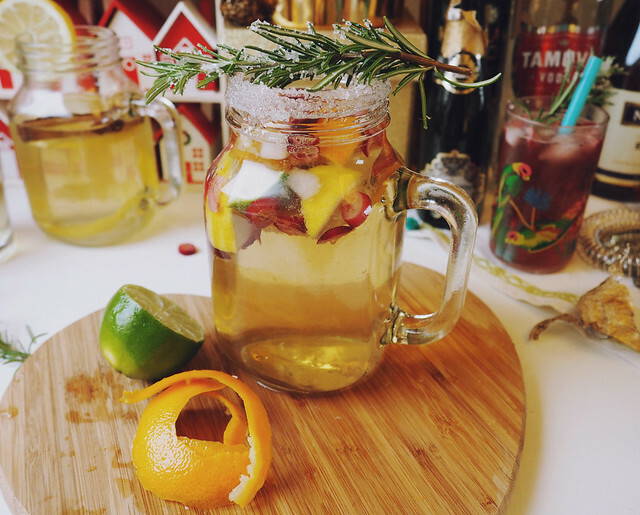 • add fruit to a jug with a sprig of rosemary, and pour over a bottle of white wine (my fav is pinot grigio), 75ml Tamova vodka, 100ml white grape juice, and top up with soda. • chill in the fridge for a while, to let all the flavours infuse. • dampen the rim of a glass and roll in white granulated sugar. • pour in the chilled sangria. 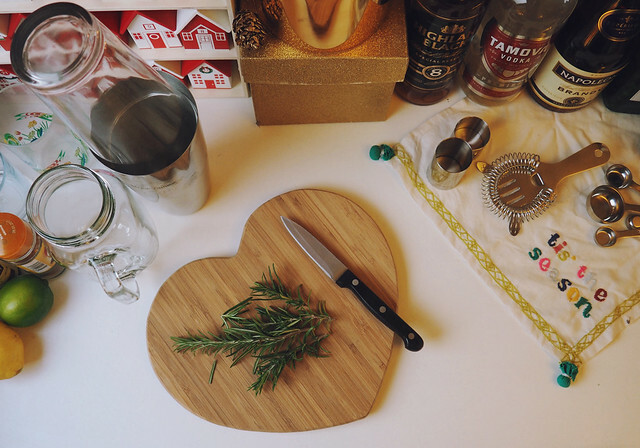 • dampen a sprig of rosemary, and coat in white granulated sugar, and garnish the glass. Sangria is AWESOME and reminds me of the summer, but I've never even thought of having a white one. The addition of cranberries makes it much more festive, and you can make this in a large jug and share it with friends... or drink it all yourself. It has so much fruit in that it's basically a meal and definitely good for you, right? • put 1tsp of honey and a shot of Highland Black 8 Year Old Scotch Whisky into a heat proof glass. 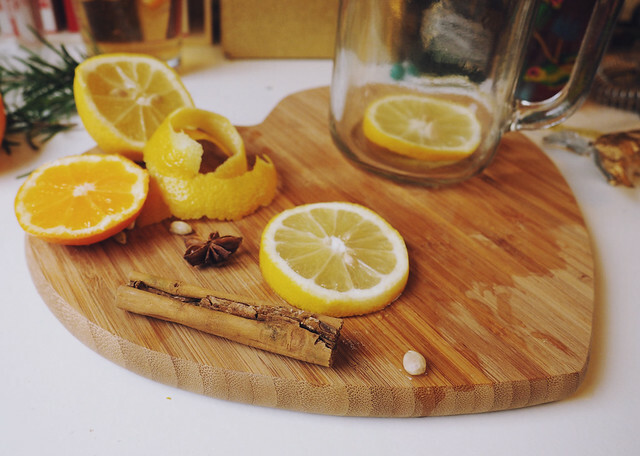 • add a cinnamon stick and a couple of cloves or a star anise, and top up with hot water. • stir in some lemon juice and a slice of honey. This is basically a hot toddy with some spices in. 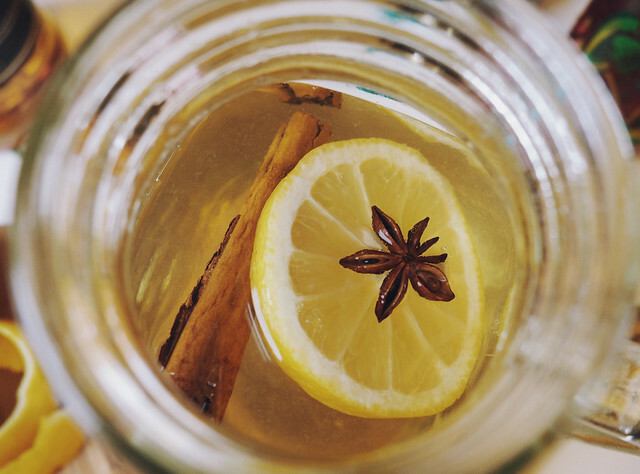 A warm alcoholic drink in the winter is so great - but it's usually a mulled something. This is similar in that it has spices, but it will also be really soothing if you've got a bit of a sore throat! So those were my Christmas cocktails! Which one do you like the sound of best? 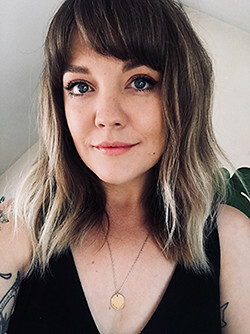 Can I just say that your photography is amazing! 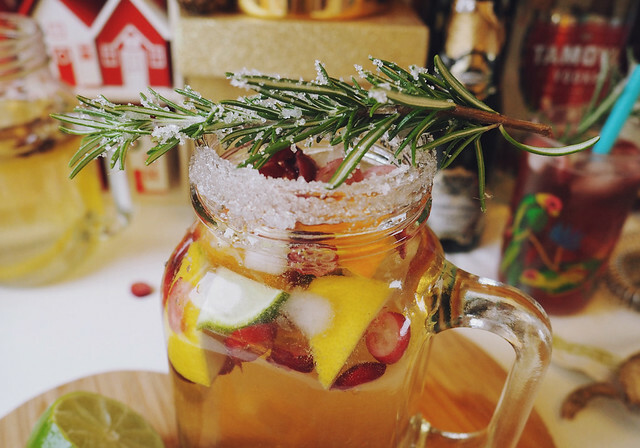 Love the christmas sangria, that sounds right up my street! these look amazing, definitely need to make these over the holidays! give with love - the big reveal. taking care of number one. 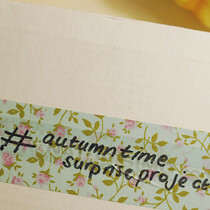 a little bit of love - self care box. 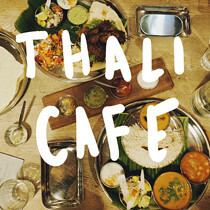 authentic indian street food in bristol. 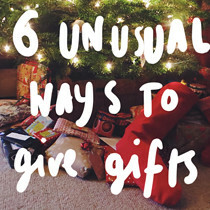 6 alternative ways to give gifts.